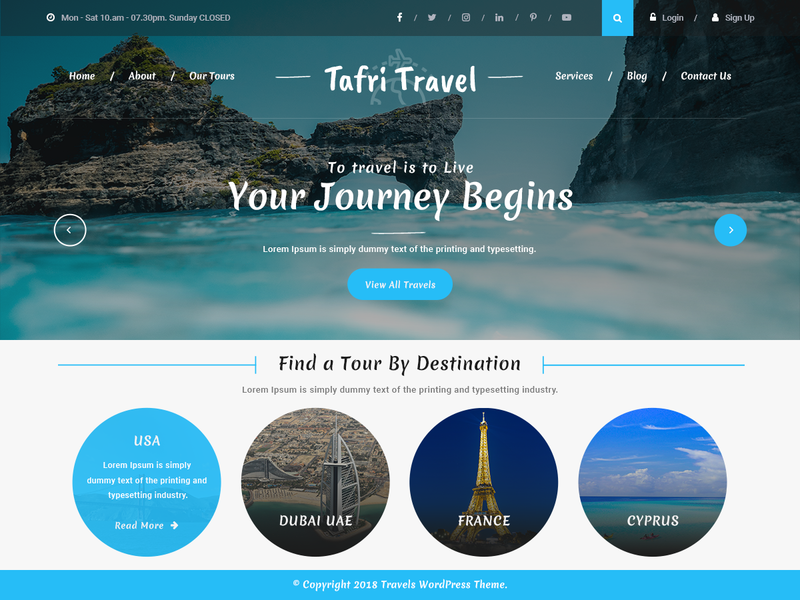 This free WordPress travel theme is a great ally to design a beautiful, eye-catching, modern and clean website for travel agencies, tourist guides, travel and adventure bloggers, tour planners, tourism department and all other businesses related to tourism industry in one way or the other. With this theme, you don’t have to worry about not having programming skills as using it is a cake walk for a professional coder and a WordPress newbie both. Compatibility of this free WordPress travel theme with almost all the plugins makes it super-efficient to perform any function; it is integrated with WooCommerce plugin to display products and plans sophisticatedly and inherit all the features and functionality needed for an online store in your website in the easiest possible way. It is extensively documented to further ease your work by giving you step by step guide on how to install, configure and make small changes to the theme on your own. This free WordPress travel theme has a fluid layout that adjusts on varying screens of desktops, mobiles and tablets. It loads coherently on all browsers and can be translated into multiple languages to serve on the state and international level both. It has a well working SEO to boost search engine rank of your website and its pages are optimized to load fast on all browsers and devices. Social media icons are important for a travel website to reach maximum people in minimum time. It allows you to upload your brand logo and change slider settings to make the site more impactful.